When it comes to exploring the dining habits of students, it’s not a surprise to learn that today’s cohort love to eat. 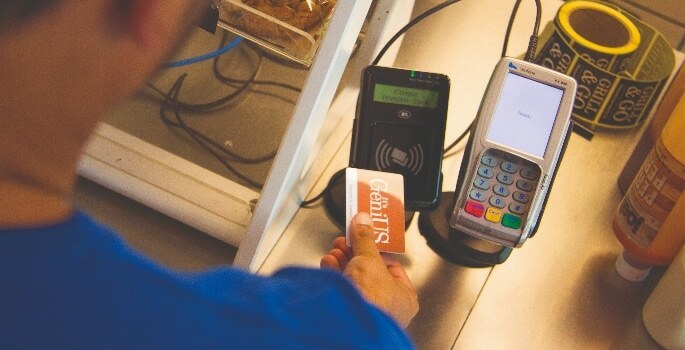 As global student affinity network UNiDAYS discovered during their 2017 survey of over 4,200 members, 71% of students spend the majority of their money on food, aside from tuition and bills. For universities, this means that they need to make sure their catering options are consistently hitting the mark to avoid students being tempted to dine off-campus and spend their money elsewhere. But how can institutions ensure they maximise the student experience and stay competitive at the same time? Julie Barker is Director of Accommodation and Hospitality at the University of Brighton, and Non-Executive Director for TUCO (The University Caterers Organisation) and CUBO (College and University Business Officers). Based on her experiences, she believes that having food on the go is still the preference of students today. Discussing her thoughts in more detail, she said: “The days of sitting down with a knife and fork meal is long gone. Students are frequent snackers, and tend to eat little and often rather than just one large meal. 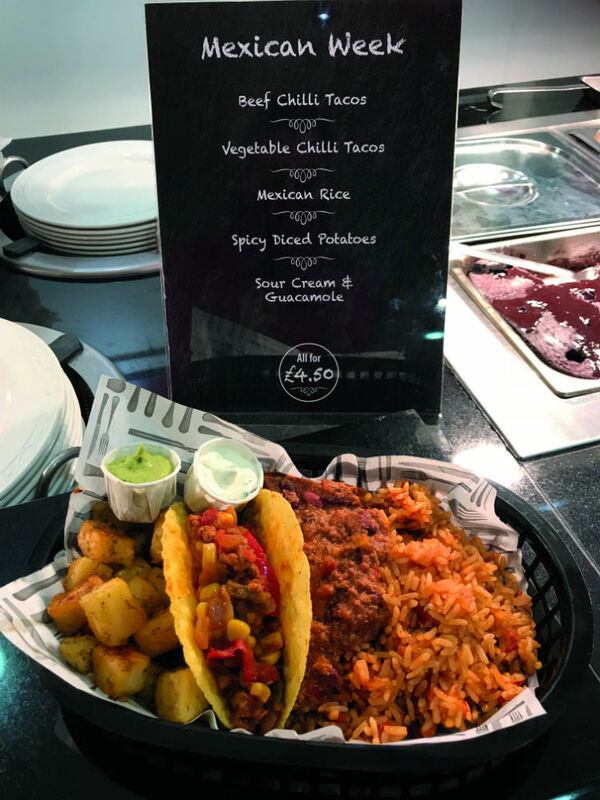 Helen Anzani, Head of Catering Services at University of South Wales has also noticed that today’s students are looking for more than just a quick bite to eat, and that their payment preferences are also changing too. She said: “Students don’t want to simply fuel, they want to experience food and their preferences can change throughout the day depending on their activities. One of the biggest trends has been in the take up of street food, and world flavours is definitely ‘in’ at the moment. Professor David Russell is from The Russell Partnership, the UK’s leading collection of food and technology consultancies. He believes that students are at a time in their lives where budgets reflect the price they are willing to pay for a product, and that high-quality products are not necessarily a priority for them. Discussing this in more detail, he said: “As we know, the majority of our students are on a budget, and no matter how high quality a food product, there will typically be financial constraints that overpower the desire for a delicious treat. “Students will become accustomed to paying a benchmark price for a food item, such as standard granola bar at £1.00. If a high-quality, vegan-friendly granola bar was introduced on campus at a 100% higher price point of £2.00, then some students may be inclined to spend that amount of money, if they feel it is proportionate to the enjoyment they will receive from the food item. Catering services provider Sodexo have worked with a number of UK universities, including University College London. According to their 2017 International University Lifestyle report, 60% of UK students expect vegan or vegetarian food to be available on campus and 49% expect free-from foods, reinforcing why it’s important for universities to ensure that their catering offering meets a range of special dietary requirements. 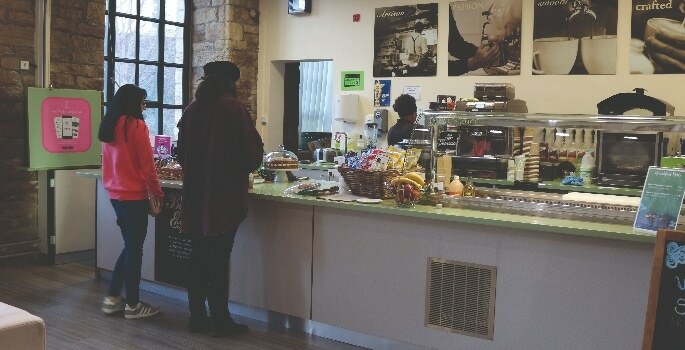 The University of Sheffield has recently launched its own vegan and vegetarian café on campus called The View Deli, in order to ensure that it meets the needs of its students. Discussing the background to the café and his thoughts on the role that customer demand plays in university catering, Kevin Kennedy Ryan, Senior Marketing and Communications Executive said: “Student feedback showed that our customers were growing fatigued of a limited vegan and vegetarian menu range, so The View established a line of salad boxes, noodle pots and snack pots all made in-house which have since been delivered to outlets across campus. Across the UK, many universities are choosing to offer high-street brands on campus. For example, the University of Leeds works with Cafe Nero, the University of Exeter and St George’s have Pret A Manger, and Greggs is also present at the University of Lancaster and the University of Nottingham. In terms of benefits, not only do these brands offer freshers the comfort and familiarity that they may prefer in the early stages of their university experience, but they also allow universities to tailor the offers of their own in-house brands, provide variety and retain loyalty as a result. 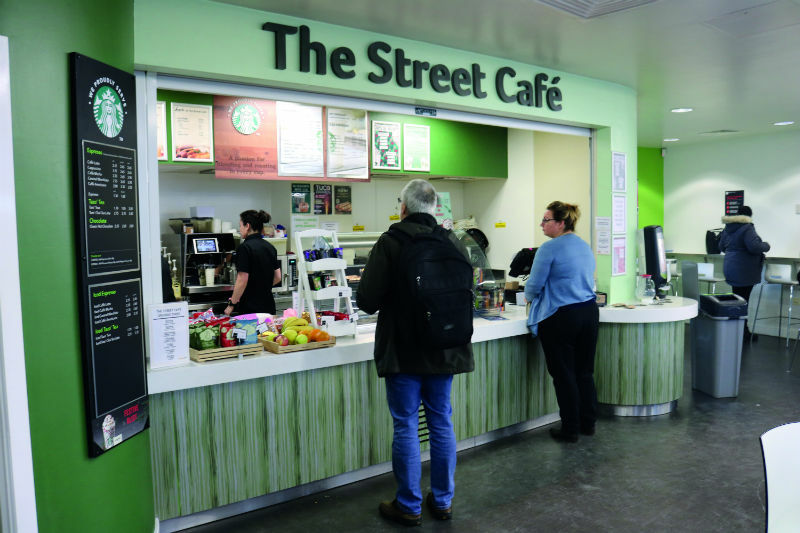 At the University of Huddersfield, Catering Manager Michaela Booth believes that students expect high-street quality-branded food, and that it’s important that their university is able to offer what’s available off-campus. Discussing their collaboration with high-street brands, she said: “Both our international students and home students use our two onsite Starbuck outlets many times throughout the day, and I believe this is because it is a brand they know.